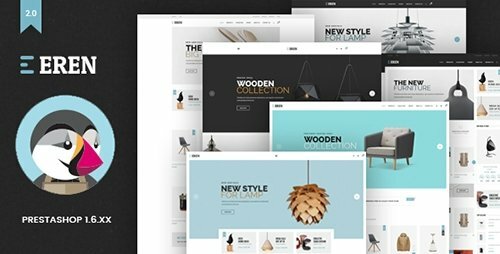 Eren is a Prestashop theme with advanced admin module, extremely customizable and fully responsive. 100% responsive prestashop theme with multi screem display. Eren has 5 Different homepages is suitable for any e-commerce sites and diversified commodities as fashion stores, women stores, men stores, accessories stores and multi-stores. Eren has a large banner for you to showcase your hottest and newest products to immediately catch your customer's hearts. Information blocks are nicely and neatly display for your customers to easily find the information they need.